I love Chelsea. Mainly because I love my friend Ray and he lives in and adores Chelsea and his laugh and loves are infectious. Chelsea Market interioOn our way to the Chelsea Market one Saturday morning, Ray spied something new: the recently opened High Line Hotel on 10th Avenue. I have stayed in different hotels when Ray has family staying in his home already. I like the Gem Hotel but it does not always have rooms availalble. 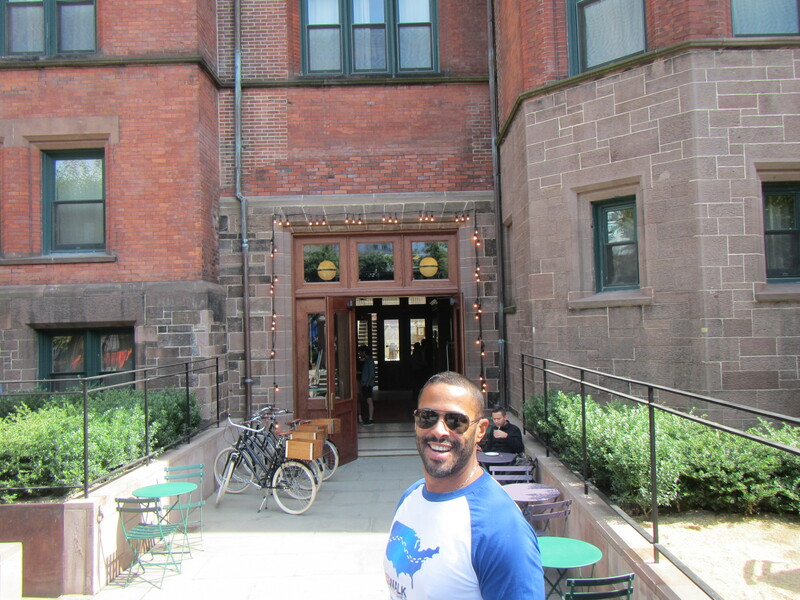 I was thrilled to discover a new (albeit more expensive alternative) in a former Seminary building. You have to love a hotel that offers bikes for loan and a view (for now) of The High Line garden walkway. 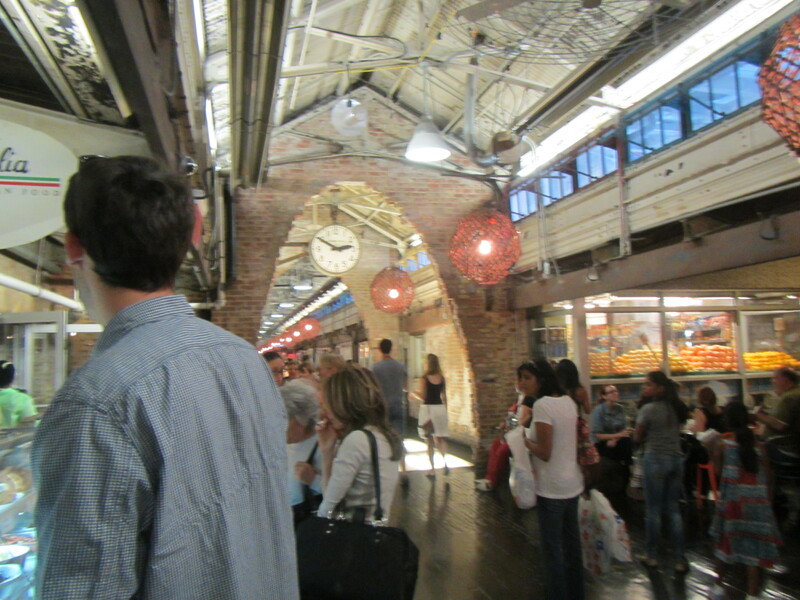 It is also just a block or so from the Chelsea Market and surrounded by great restaurants. 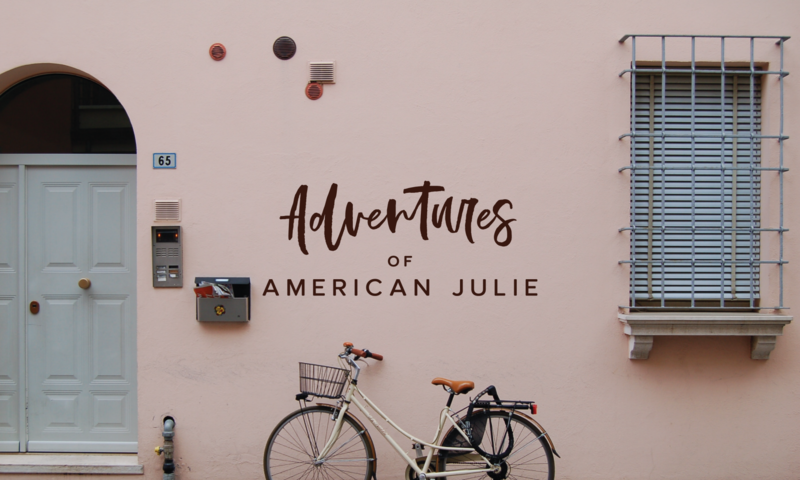 And every morning you could roll out of bed, hit the exquisite looking coffee bar in the lobby and take a relaxing walk along the High Line. 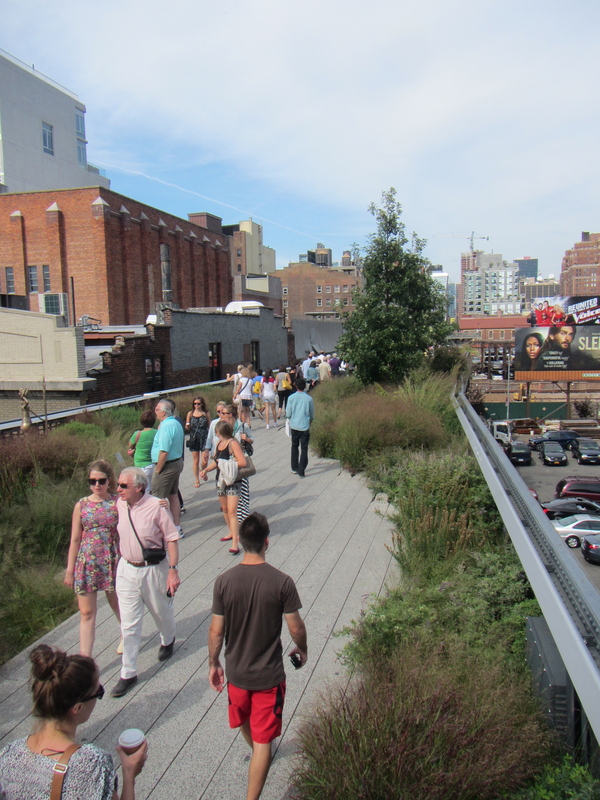 The High Line is a wonderful reinvention of the elevated railroad. It is listed in “New York’s 50 best places to find Peace and Quiet.” Not so much on a Saturday. At times it was packed with people making it a great place to people watch. The art along the way is thought provoking. And there is an elevator if you have a stroller or need to avoid several flights of stairs. (Although the elevator on 23rd St. was out of order on the day we were there.) The views of Chelsea also give you a different perspective on living in this part of the City. We ate later that night at The Park named for its interior that feels like an exterior. The food was adequate and the atmosphere was perfect for our group of 8. Our reservation was for 9:30, so by the time we finished our roast chicken, salmon, octopus salad, turkey burgers, gnocchi and lamb sausage pizza the pop music was pumping and there was a line to get into the dance club and bar. We retired to “Club Ray” where conversation was easier and the drinks are free. 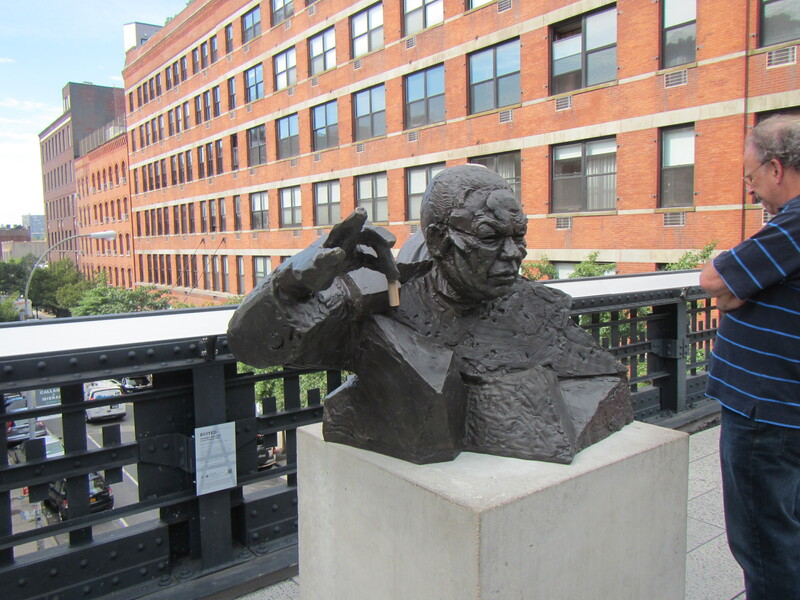 Chelsea is also a great access point for the Hudson River Greenway, which runs the length of Manhattan on the westside. If you need bike support, I recommend Bicycle Habitat (228 7th Avenue).